1. 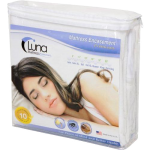 Cover and Elevate your Mattress. You can protect against bed bug infestation by putting your mattress up on a bed frame (instead of directly on the floor) which makes it that much harder for bed bugs to reach. In addition, protect your mattress with the help of bed bug protective mattress encasements and protective pillow encasements. They are cheap ($50.00) and impenetrable to bed bugs. You can get them online from a number of retailers such as: BedBugSupply.com. Make sure you get one as soon as possible. An encasement is an easy and effective bed bug protection method and your should have one even if you’re not infested just to prevent a potential future outbreak. You can even take them with you when you travel to stop from bringing bugs home. 2. Monitor and Trap Bed Bugs. Bed bugs are exceptionally small (sometimes less than 1/8 of an inch or 5 millimeters) so even if you’re infected, you may not notice for a long time. Unfortunately, this gives the bugs a chance to multiply into a true infestation. Protect yourself from bed bugs by setting up traps and monitors that lure bed bugs to their death and also give you a definitive answer on whether or not your home has a bed bug problem. 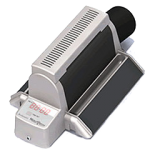 There are a large number of traps available, ranging in price from the NightWatch bed bug trap and monitor to the beacon co2 trap or even just passive monitors. 3. Be Proactive.. Even if you don’t currently have bed bugs, it doesn’t hurt to protect yourself. If you live in a home with a higher risk for bed bugs, such as an apartment building or any other dwelling with multiple units (a multi resident house, roommates, etc.) you should prevent infestations before they occur. 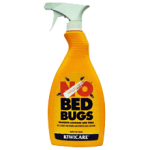 Using simple organic powders and sprays, you can turn your home into a bed bug protected fortress where those that do attempt to come in will be immediately killed. There is a wide range of solutions including powders, aerosols, and chemicals. They are all relatively inexpensive, so choose the one that’s right for you and your family. 4. Protect your Home. With your bed elevated, you want to set traps for any bed bugs attempting to climb up. Your best bet is to use climb up interceptors that collect and trap bed bugs attempting to climb the legs of your bed frame. This provides both a barrier and a way for you to definitively determine whether or not your home is at risk (because you’ll be able to see bugs trapped in the interceptor). 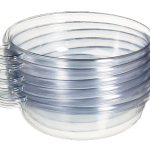 If you’d rather, you can also use plastic containers found around the house that will work almost as well, but may not trap the bugs as effectively. These are just a few of the simple, easy to apply (without the need of a professional) tips that will easily provide bed bug protection for you and your entire family and literally help you sleep at night. Just remember, bed bugs are a simple bug that only becomes an out of hand problem if you don’t adequately protect your home against possible infection. It’s so easy and inexpensive to do so, and I wish I had done it myself. Would have saved me such a headache in the long run! Arrrrrgh! For more information on protecting yourself from bed bugs, check out the remove bed bugs guide.